We’re just three weeks away from the first ever mid-summer Bestival and due to huge demand, we have put a limited number of day tickets for Friday, Saturday and Sunday on sale. Bursting with eye-popping wonder, mind melting stages, must-see destinations, off-the-wall amusements and amazing circus trickery, now you can take your pick of three days of incredible music and good times, this August. Friday 3rd August sees the opening of the castle stage and the first ever UK performance of Diplo & Mark Ronson’s Silk City. A UK festival exclusive, Silk City are the hottest dancefloor act on the planet right now, and this is your chance to catch a bit of history. As if that wasn’t enough, we also have essential performances from Mura Masa, Bicep (DJ set), Sundara Karma, IAMDDB, Django Django, IDLES and lots more. Bass bin pressure comes from the likes of Metalheadz, DF Tram, Mabel, Lotto Boyzz, Not3s, Kojo Funds, and more. And tongue-in-cheek fun comes courtesy of Jodie Harsh & Friends and Sink the Pink presents Ta’Dah. Saturday 4th August sees yet another UK festival exclusive headline set, this time from London Grammar. The Notts trio have worked their way up the ranks and deservedly command Saturday’s headline spot, don’t miss something special! There will be much more music throughout the day from the legendary Grace Jones, plus First Aid Kit, Thundercat, David Rodigan & The Outlook Orchestra, Stefflon Don and many more. We go head to head with Oasis festival featuring Amelie Lens, and more, Ram Jam ups the sound system ante, a Madchester dance icon throws Bez’s Acid House Party and we have a reggae set from the one and only Vic Reeves, among many other marvels throughout the day. Sunday 5th August, the final day of festival fun at Bestival’s initiation into a new season, sees MIA’s only scheduled UK appearance of the Summer and it’s got momentous written all over it. Especially as it will be followed by our Biggest Ever Finale featuring a high wire on fire, a huge choir, a virtuoso violinist and a dazzling firework display! Music throughout Sunday will include Plan B, Chaka Khan, Rudimental (DJ set), Flava D, Dubioza Kolektiv, Gentleman’s Dub Club, and Solardo. There’s Yuletide thrills with East 17’s Christmas Party, and Mike Skinner & Murkage present Tonga, and we have Camelphat, RAM Records, Chali 2na & Krafty Kuts, Gilles Peterson, Jaguar Skills, and many more. Circus freakery, audacious action and curious capers will astonish all weekend with a real life Human Cannonball, Lords of Lightning, the World’s Largest Confetti Cannon, and Dubstep Dodgems. Explore incredible venues like Temple, Stacey’s, Caravanserai, Bollywood, Ambientland and many more, and experience Wellbeing and Healing feelings with Spiinbox Spinning Raves, Slow Motion Therapies, Gong Baths, Hot Tubs and more. And there’s a host of delicious food and drink from Rob & Josie’s Gin Festival to the Feast Collective and beyond. So, what are you waiting for? Take your pick of four days of next level festival inspiration! Standard adult day tickets go on sale on Thursday 12th July at just £60. 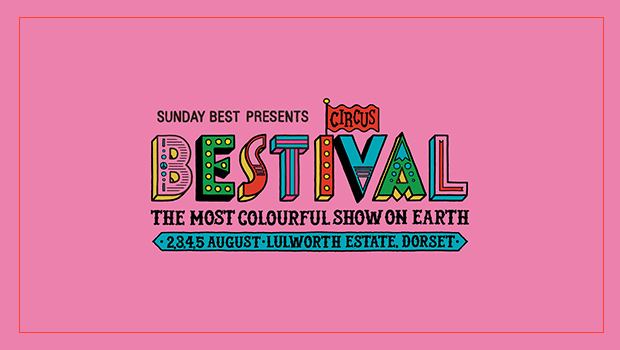 Child tickets and VIP tickets are also available – head to Bestival for more information.